Destination weddings are on the rise and there are a few really good reasons why. They are more intimate, they are often cost-effective and you can stay and play after your wedding is over and enjoy your honeymoon. 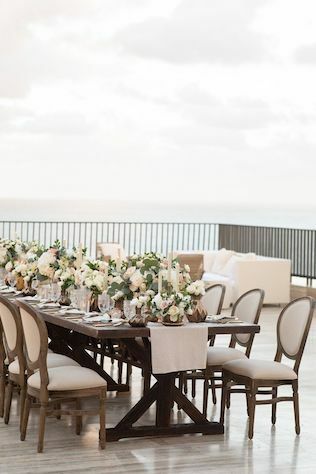 Planning a wedding from afar can seem like a daunting task, but when paired with an experienced planner, it’ll be smooth sailing from start to finish! We will take the stress of sourcing your entire vendor team off your plate! 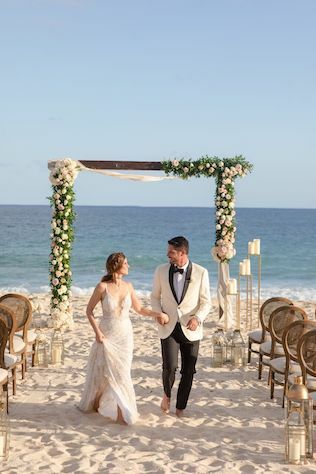 From venue selection to photographers, floral design and hair & makeup, we find reputable professionals in your destination location and act as your liaison. We’ll book them, communicate design needs, finalize contracts and coordinate arrival times when the big day comes. With hundreds of successfully executed weddings and events under our belts, we are experts at keeping everything from planning milestones to vendor payments on track. Whether you choose to enjoy a long engagement or a quick trip down the aisle, we know how quickly vendors should be chosen, at what point final guest counts need to be communicated to the caterer and when final payments need to be made. Save yourself the stress of missing deadlines, let us take the lead here for you! Planners may not be travel agents, but you can bet we can refer you to a great one! We often team up with fabulous agents who can offer our couples great deals on flights, hotel accommodations and can even help plan special excursions for your honeymoon and room blocks for your guests. Chances are your venue can offer you a day-of wedding coordinator should you choose to forgo a planner, but you’ll want someone handling business for you that you trust, who you are familiar with, who knows the ins and outs of your vendors, your desired design and your wishes for how the day should unfold. Your big day should be worry-free and the team at Michelle Durpetti Events is here to ensure it is! Hiring experienced planners means you get to benefit from the fabulous industry relationships we’ve built and the expertise we’ve developed over the course of many years of perfecting our craft. Now, let’s get planning!